Several social service groups are supporting an application that would re-open the process for new agencies to apply for core funding from the city — a process that has been closed since 2010. The proposal is part of a package of policies pitched by councillors from the urban core during consultations ahead of the municipal budget. The proposal includes a $500,000 boost for groups already funded by the city and a $500,000 "on ramp" so agencies that aren't currently on the list could apply for stable municipal funding. 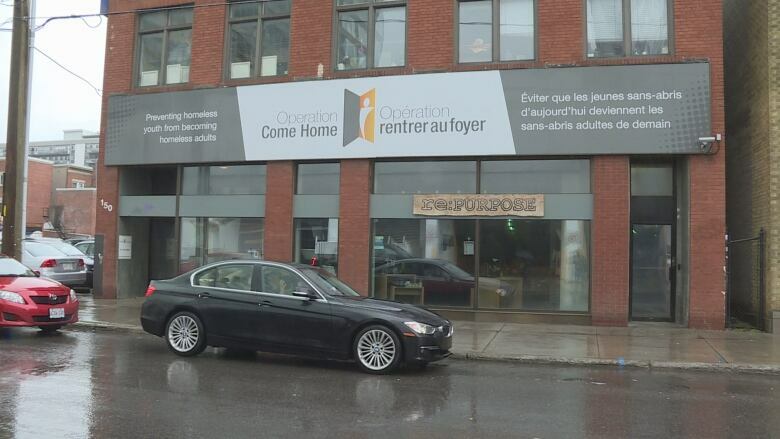 Elspeth McKay, executive director of Operation Come Home, said her organization has relied on fundraising and individual donations to operate its resource centre for the last decade. "We have no core funding for our agency," she said. "We are not able to pay for a lot of our infrastructural expenses, such as rent and staffing. And right now the most important thing for us is to be able to pay for enough staff for them to feel safe when they're working with the youth that come to our centre." The opioid overdose crisis has raised concerns about safety. Staff have dealt with four overdoses in the last couple of months, she said. The Gloucester Street resource centre regularly has a line of 50 to 60 people outside before it opens at 8 a.m. on weekdays, McKay said. It's the only centre open during the day for teenagers who are still too young to access adult centres. "We consider that to be, especially at this point, an essential service." she said. McKay said $125,000 a year would allow for three part-time staff to run the resource centre with its current hours. Other groups such as Club Casa de los Abuelos, which provides support to Spanish-speaking seniors, and the Coalition of Community Health and Resource Centres of Ottawa are also supporting the re-opening of applications for city funding. In 2010, the city closed the list of social organizations that could get core funding and many services weren't on that list. The city currently spends about $20 million each year on about 200 groups offering services. "That bucket for funding is essentially sealed, whoever is in is in," said Coun. Catherine McKenney. The Somerset Ward councillor said a front-line service like Operation Come Home should get funding. She's among the councillors proposing the $500,000 fund. Agencies that don't currently receive municipal funding could apply on a year-by-year basis and then eventually be integrated into the group eligible for core funding. The city doesn't track how many agencies might need funding, McKenney said, so this could be an opportunity to better assess the situation. "It's being done by hearsay and that's no way to respond to the some of the most dire needs in the community," she said. "We need to know: who needs funding? What's it for? What are the needs that are in our community that perhaps weren't there five, ten years ago?" The draft city budget will be tabled Nov. 8.